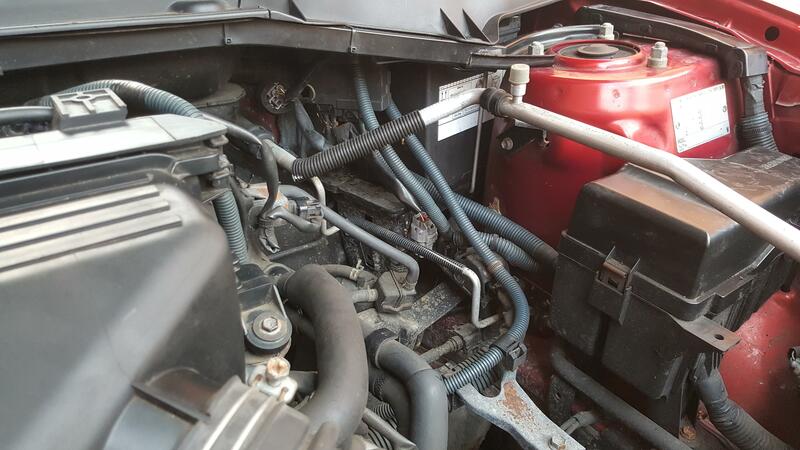 On inspecting my "new" car 2003 2.0GX I spotted an unplugged connector in the engine bay lose to the Battery. I connected it up and nothing seems to have changed. Any ideas? Any chance of a photo of the connector? Do you have a test meter? A bulb with 2 wires soldered to it will do to check if there is a circuit there. place one end of one wire on the positive (X) terminal on the Battery and the other on the connector.If it lights it will show that this is a earth wire (-) If it remains unlit that shows that it could be a redundant wire. Any chance of following that wire to it's other end Is it a single connector you could try a little pull to see if it is connected. Sorry for the delay, photo added. If you blow the photo up you can see the white plug in the centre.